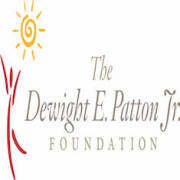 The Dewight E. Patton Jr. Foundation is seeking a part-time Facilitator to prepare, plan and teach program lessons to middle school and high school students in a group setting. This individual will facilitate a prescribed curricula. Must demonstrate patience and the desire to have a positive impact on the life of a young person. Experienced social worker, educator, or facilitator preferred, but not required. A minimum of 2 years working with youth ages 12 to 19 in a group setting is required.